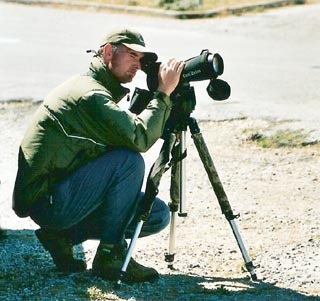 Gone Birding have decades of experience in a range of ornithological surveying methods, from single visit site surveys to multi-visit, intensive Common Bird Census and Tetrad type surveys. We can undertake all of the above, plus more, at a very reasonable £175 per day, or £100 for half a day, plus traveling expenses. We will talk to you and discuss what you want from the survey, and decide what the appropriate survey method would be. As part of the professional service you will receive a fully documented report of the findings, at a one off £175 for one days admin to produce the report* If required AV presentations can be given on the findings to supplement the documentary report, again at the daily/ half daily rate of £175/ £100 respectively plus traveling expenses. *Except CBC and Tetrad methods that will require at least a week (7 days) to compile the maps and correlate the data.